Wow! I haven't done a what's in my bag post in more than two years! But I suppose that makes sense because I don't really change up the things in my bag that often. For those of you who don't know, I am a member of the wonderful blogging community known as Fashion Beauty Friend Friday, and seeing that this was the topic for today, I just had to join in for this FBFF link up. FYI, this is a photo of what was in my bag back in March 2010. 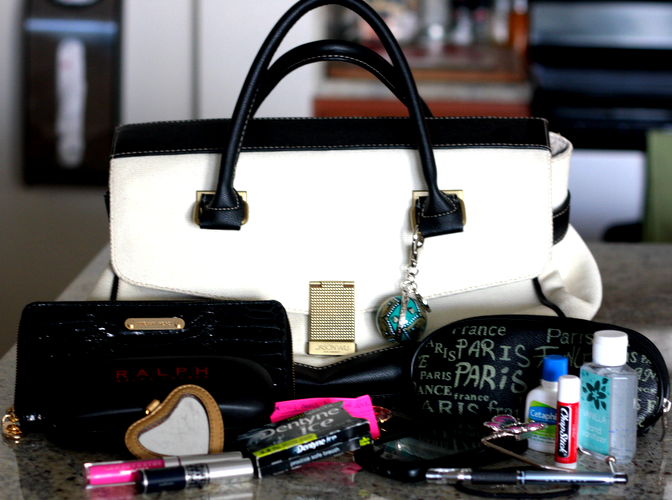 Some things change while others stay the same...even true about the contents of your purse. What's in your bag? Link up or tell me in the comments! Look at you... You're so organized!! I'm impressed! My bag's a mess. I forgot to do this, but have scheduled it for a couple weeks from now. I definitely don't have a snazzy purse like you do, mine is just a simple Target bag. JUNK is in mine, haha. Buss schedules, an old makeupbag + Hand Sanetizer + Carmex Lip Gloss + XXI Smal Mirror + A funky, multi colored wallet + A Gap cardigan JIC I get chilly...that's about it. Love your Jason Wu purse! Thanks for stopping by my blog! Wow. I was just about to do a Whats in my bag post this week. :D You'll know then. I love the Ralph Lauren case. And the flower hanger thing. Loved this peek. Also the bag is majorly pretty. That ball of lip gloss is so darn cute! Love that you carry around your blog goals on a scrap of paper. great post hun,love everything u carry can i have ur bag please haha! I'm always so intrigued by what others carry in their handbags. I always hope someone has included odd bits as well as necessities like me, scissors, flats, and a sewing kit, haha! Great post! Have a wonderful weekend. So jealous you have that Jason Wu handbag!! A fabulous bag with fabulous contents! I wish my bag was a lot cooler now. If I did this post, I'd be displaying photos of nasty gum wrappers from two years ago and grocery store receipts with notes scribbled on them. Sigh. very cute! loving the bag! I love your bag! It's so classic. Also, I love purse hangers! They're just so handy! Someone told me that ladies purses always get so dirty because we just place them down anywhere and they didn't really get cleaned. I felt so much better about having the hanger because ever since I've been concious about where I place my purse since then. I'm going to steal that goal idea from you btw! Your bag is so classy with black nd white I want a bag like that. 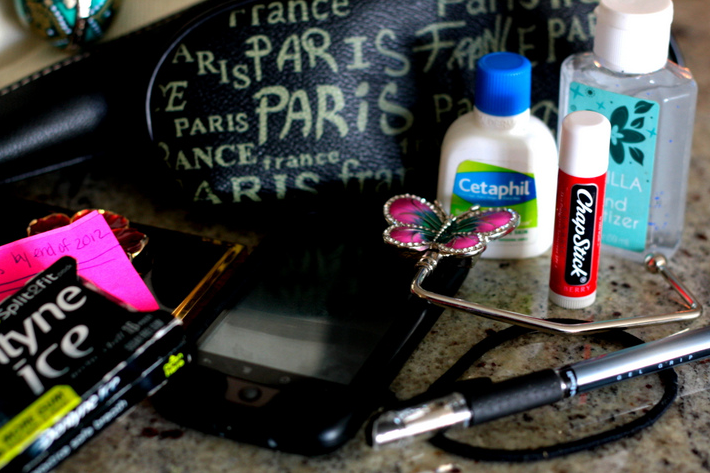 I love Cetaphil and Chapsticks those are also in my bag. 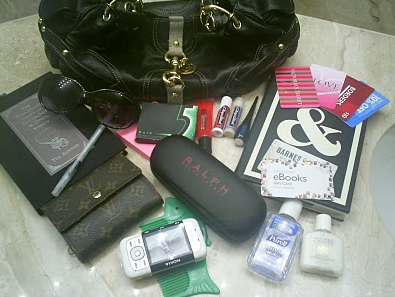 I love when bloggers post this I am always curious about what's in other peoples bag. 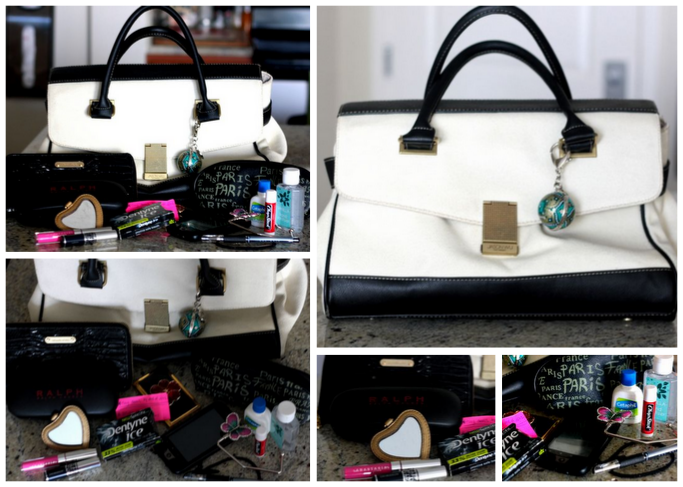 Love everything in your bag! Awesome Cheryl! I always enjoy reading these. I carry the small Cetaphil and Chapstick too! HaHaHa I try to keep things to a minimal: sunnies, keys, pen, wallet and the above. I love the Dior mascara! Cute bag. I want that bag! Nice post! If you have a minute, please check out my blog and follow me if you liked it. I'll appreciate it so much! Thanks! that is a fab Jason Wu bag. 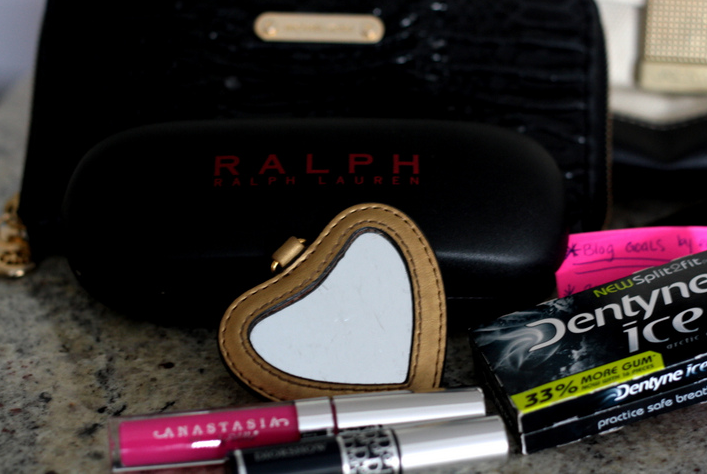 :) Love seeing things from my fave bloggers' bags. :) i used to have the same sunnies from RL. makeup, a must! :) have a great wk, c! Great bag, lady! I haven't done a post like this in a while. cute bag with a enough room for all kinds of goodies! I absolutely love posts like this. The contents of your bag are both fun and functional! Your bag is so chic! The mini Paris bag is super cute too. Thanks for sharing the link with me!